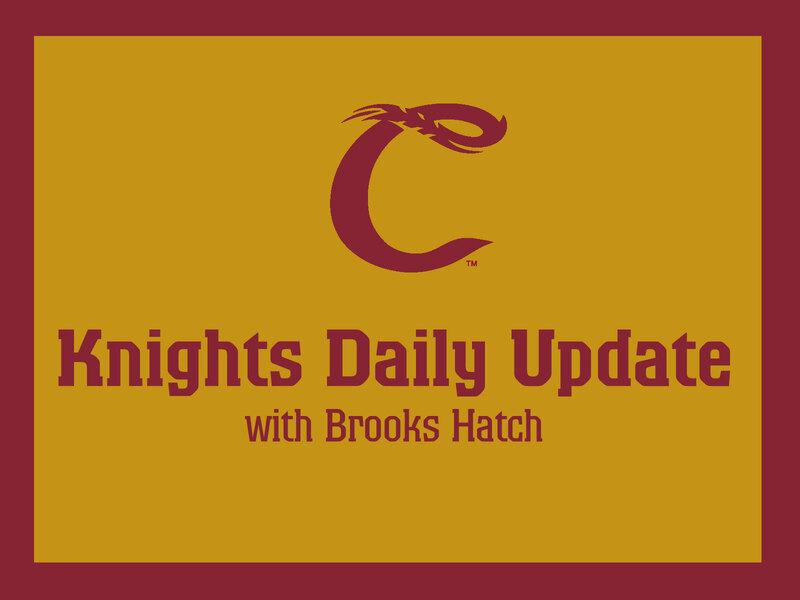 The Blog is back after a much-needed vacation following the long summer season, and excited to again bring you lots of news about your Corvallis Knights. We will have an entry today, Thursday and Friday this week, and then resume our customary offseason schedule of Tuesday and Friday once September starts. Star right fielder Jordan Qsar was named the No. 1 pro prospect in the West Coast League by Perfect Game and the No. 2 pro prospect by the Baseball America. A redshirt junior-to-be at Pepperdine who also played center field, third base and pitcher this summer, Qsar hit .302 (62-205) in 55 regular-season and playoff games. He established franchise records in homers (14), doubles (22) and RBIs (53). 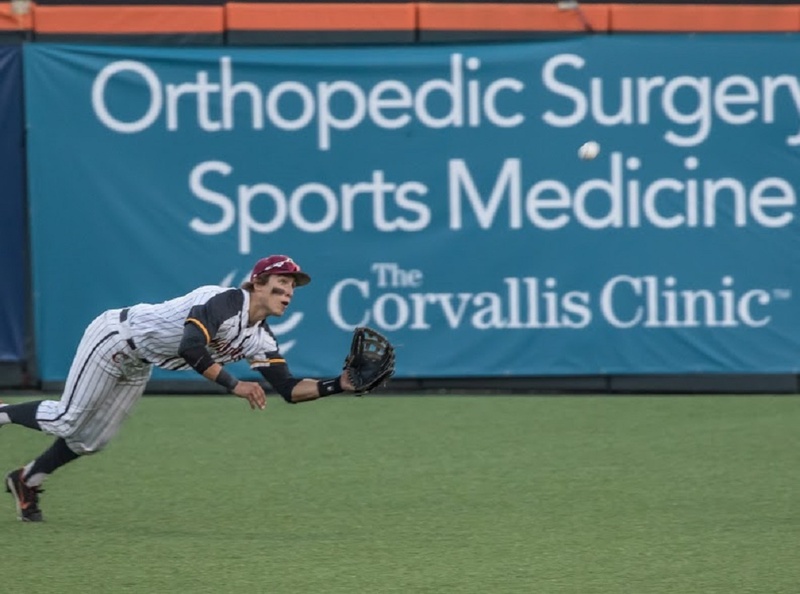 He was a South Division all-star and was named first-team all-WCL as an outfielder. 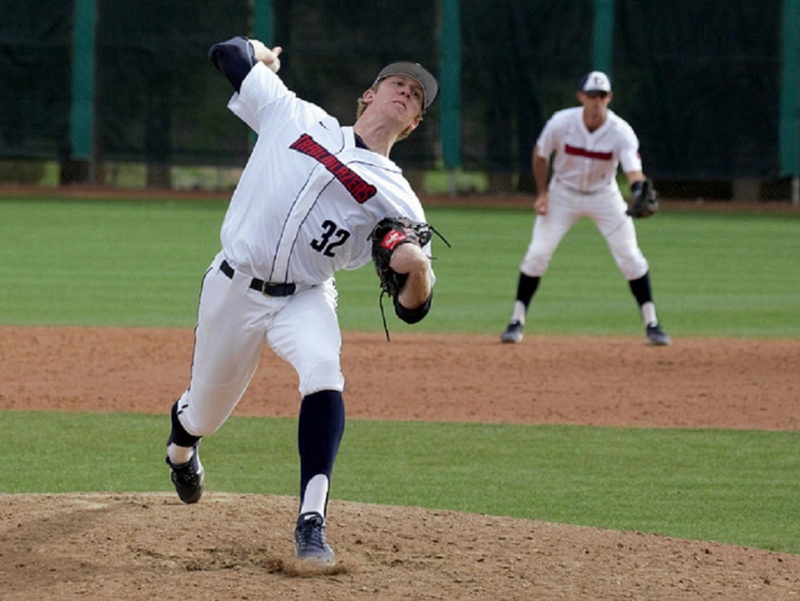 Right-handed pitcher Louis Crow, a rising sophomore at San Diego, was named the No. 5 prospect. Left-handed pitcher Chase Kaplan, a rising senior at Kansas, was ranked No. 10. We drew a crowd of 1,430 for Game 3 of the WCL Championship Series against Victoria on Aug. 15. That raised our final 2017 season attendance to 53,364 through 36 openings, an average of 1,482 fans per game. Although that marked a slight decrease from 2016, it is still the second-best season in franchise history. Thanks for your patronage and we will see you again next summer! We had some alumni moves in major-league baseball in the past couple weeks. Here’s an update. The Colorado Rockies sent pitcher Tyler Anderson (2009) to triple-A Albuquerque of the Pacific Coast League on Aug. 27. Tyler played at Oregon. The Arizona Diamondbacks called up relief pitcher Jimmie Sherfy (2011) from triple-A Reno of the Pacific Coast League on Aug. 20. A former star at Oregon, Sherfy was selected by Arizona in the 10th round of the 2013 MLB draft. He was 1-0 with a 0.00 ERA and two strikeouts before being optioned back to Reno on Aug. 22. He most likely will be recalled when MLB rosters expand to 40 players on Sept. 1. Tampa Bay sent pitcher Matt Andriese (2009) to Durham of the triple-A International League for a rehab assignment on Aug. 23. He’s been sidelined since May 31 with a strained groin muscle. The 2009 WCL Pitcher of the Year, Matt was 5-1, 3.42 in eight games with Tampa Bay before going on the DL, with 55 strikeouts in 61 innings. He played at UC Riverside. The Mariners reactivated outfielder Mitch Haniger (2010) from the 10-day disabled list on Aug. 19. To make room for Haniger on the roster, they sent pitcher Sam Gaviglio (2009) back to triple-A Tacoma of the PCL. Haniger played at Cal Poly, Gaviglio at Oregon State. Milwaukee sent catcher Andrew Susac (2009) back to triple-A Colorado Springs of the PCL on Aug. 18. The OSU product was called up on Aug. 4 and went 0-for-6 in two games. San Antonio (AA Texas, Padres) outfielder Nick Torres (2012) was 4-for-4 with a homer, two doubles, three RBIs and two runs scored in a 12-11 loss to Corpus Christi in Game 2 of a doubleheader on Monday to earn Corvallis Knights Minor League Player of the Day honors. He played at Cal Poly. Lucie (A Florida State, Mets) pitcher Stephen Nogosek (2013) pitched two scoreless innings, struck out two and earned his second hold in a 3-2 win over Ft. Myers. He played at Oregon. Elizabethton (R Appalachian, Twins) catcher Andy Cosgrove (2014) was 1-for-4 with a two-run double in a 3-2 loss to Greeneville. He played at North Carolina State and at Washington. —————That’s all for today. See you on Thursday.